This time last year, Sing Tower Hamlets was a mere twinkle in its mother’s eye. At the end of 2012 I was doodling logo ideas, getting my knickers in a twist over what the poster ought to look like (“I want it to feel kind of homemade… approachable… professional but not too slick…!”), and trying to decide exactly what kind of choir we were going to be (“If I say we’ll be singing gospel will that put people off? Does the small number of African songs I know count as ‘world music’?! Just how niche a show tune can a community choir handle?!!”). It’s fun to look back over the year and think of how things have developed. 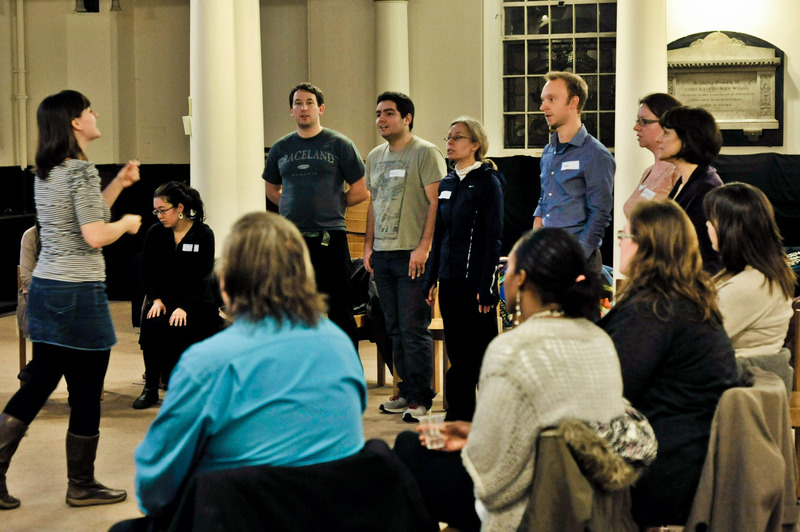 I remember so clearly, as 2012 turned into 2013 and the initial taster session approached, trying my best to focus on planning what we were actually going to sing without getting distracted by musings over how many people it takes to actually constitute a choir anyway. I was obviously thrilled when 20 people showed up that first evening (including a few friends drafted in as a rent-a-crowd, granted!). (And according to the internets, that was plenty, even by conservative estimates – hoorah!) 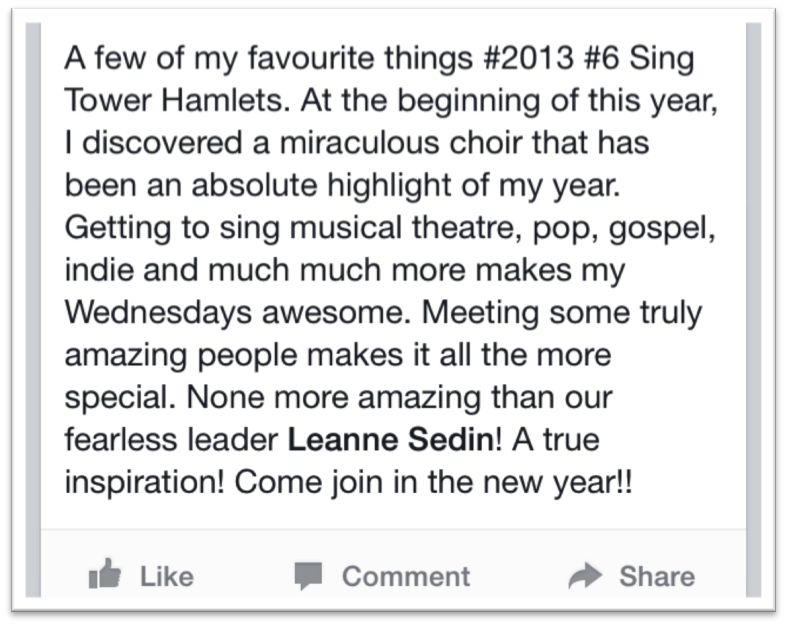 And so, Sing Tower Hamlets was born. At the end of that first term, we put on our debut concert at St Paul’s church in Shadwell, complete with an audience singalong, choir-baked goods, and freak weather. 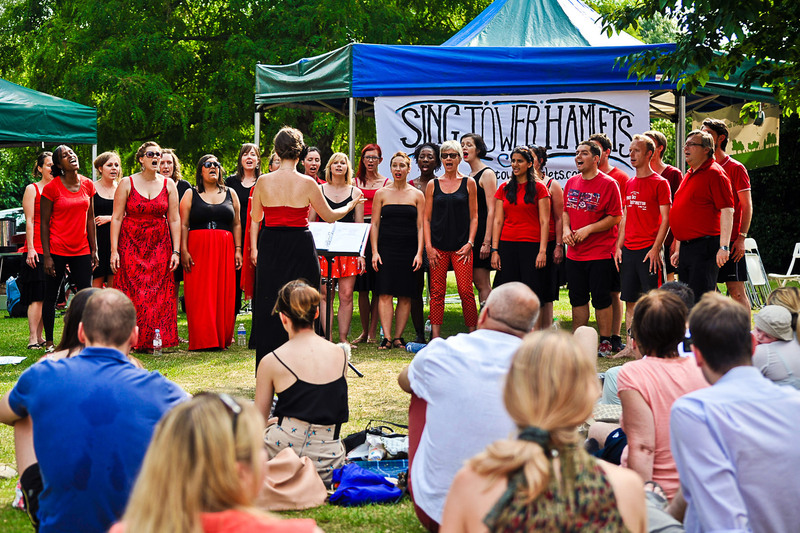 In the Summer, we joined other local acts to perform in Victoria Park as part of a local Our Big Gig event, and then in December 2013, we put on a joint fundraising concert with Victoria Park Singers, raising over £2000 for GrowTH. 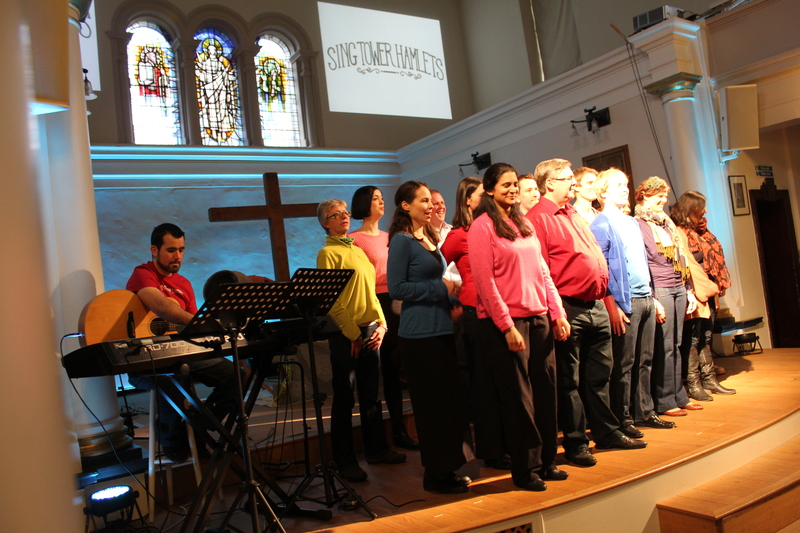 But these performances were really just the icing on the cake; the real fun happened week in week out, as a group of people from various walks of life – different ages, backgrounds, and experience of singing – gathered together to make music, and built a little community in the process. 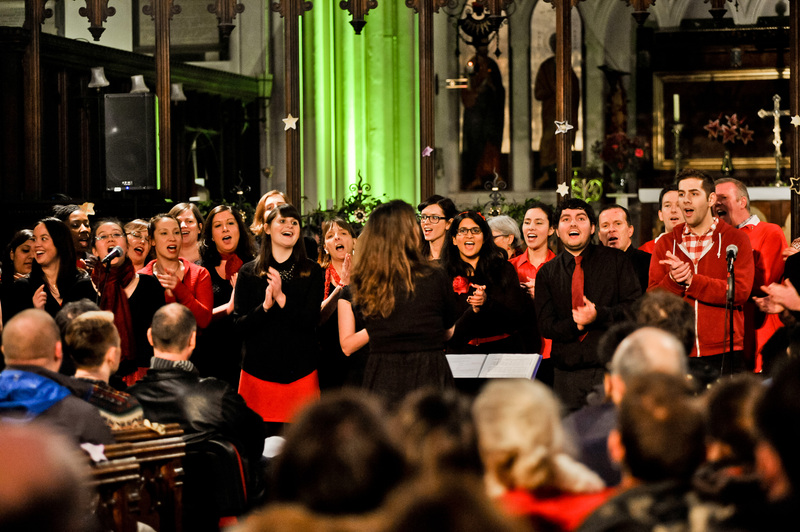 Here at the end of 2013, I am proud to say that Sing Tower Hamlets is no longer just an idea in my head, but a living, breathing, real life CHOIR! (I have a choir! Seriously… it never gets old.) And they really are a great bunch you know: friendly, welcoming, great fun, brilliantly musical, and hailing from all over that most excellent part of London, Tower Hamlets (and beyond, no less!). Some have been with us since the beginning, others just for a term, but all are brought together through a shared love of singing to make up this fab little community choir. …or better still, why not come along and give it a go yourself in 2014? We start back up again on Wednesday 29th January. If you’re stuck for a New Year’s Resolution, how about this one: must. sing. more! It’s been a great first year… roll on 2014!